Demodex is a parasitic mite that causes a skin disease often referred to as mange or canine demodicosis. The microscopic Demodex mites live in the hair follicles and oil glands of your dog’s (or cat's) skin or at the skin surface. First and foremost, maintaining your dog’s overall health is critical to creating immunity to mite infestations. A good diet and clean environment can greatly reduce the opportunity for your dog to develop a mite infestation. For veterinary professionals, more detailed information on Demodex can be found at https://www.capcvet.org/guidelines/demodex/. Mange is caused by a microscopic mite that lives inside hair follicles. Symptoms of mange are patches of hair loss, usually starting on the head and progressing towards the rear. 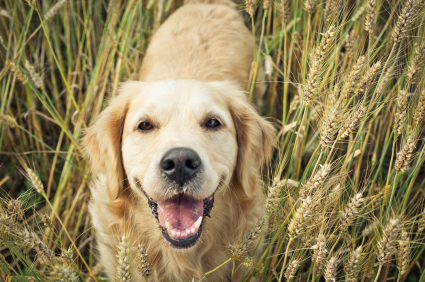 Healthy dogs can handle the mites without it becoming a problem. Keep your dog healthy with good diet and clean environment. Your veterinarian can test for mange and prescribe proper treatment. A healthy pet can usually handle demodex mites without developing symptoms, so if your pet has no symptoms, no treatment is necessary. However, if a dog does get the symptoms of mange, it may have secondary infections as well. You veterinarian can prescribe a course of treatment to prevent the problem from getting worse.